What Is The Main Role Of The Grand Head? Glan head (also known as cable gland, cable gland and cable gland) is widely used in the fixing and care of wire and cable for mechanical equipment, marine electrical and anti-corrosion equipment. The main function is the fastening and sealing of the cable. 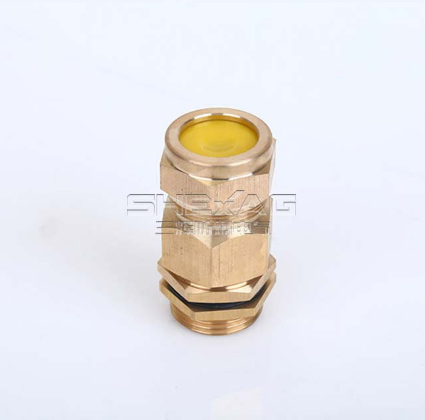 The fastening means that the cable is locked by the Granite so that the cable does not undergo axial displacement and radial twisting, which ensures the normal connection of the Armored Cable Gland. Sealing refers to the IP protection that we often say, that is, dustproof and waterproof. As for the protection level of Gran, it depends on the structure of each manufacturer. The highest can also reach IP68. There are also some special places to use, such as Shielded cable waterproof joints, combined with shielded cable; armored cable waterproof joints for armored cables; Explosion Proof Cable Gland for use in hazardous areas such as mines Waterproof armor and so on. Next How To Choose Armored Explosion Proof Cable Glands?